Newton Leys is an urban village on the MIlton Keynes / Buckinghamshire border and is a short distance from Bletchley. It’s easy to get to and is fun to visit with the children. 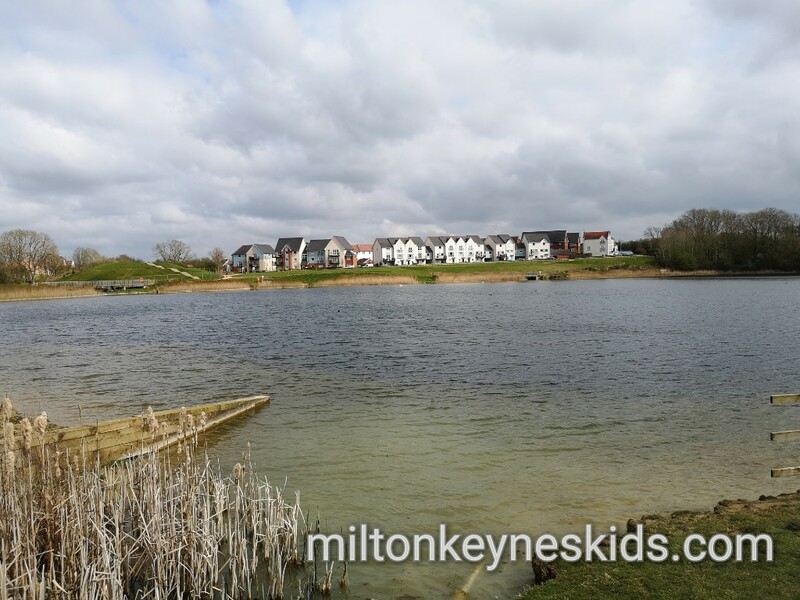 There are a lot of houses there and still a lot of building work going on when we visited in April 2019 – but hidden within it are two good parks and a lake. Watch my video below to see the best bits and then scroll down for more information. What’s the first park like and where is it? 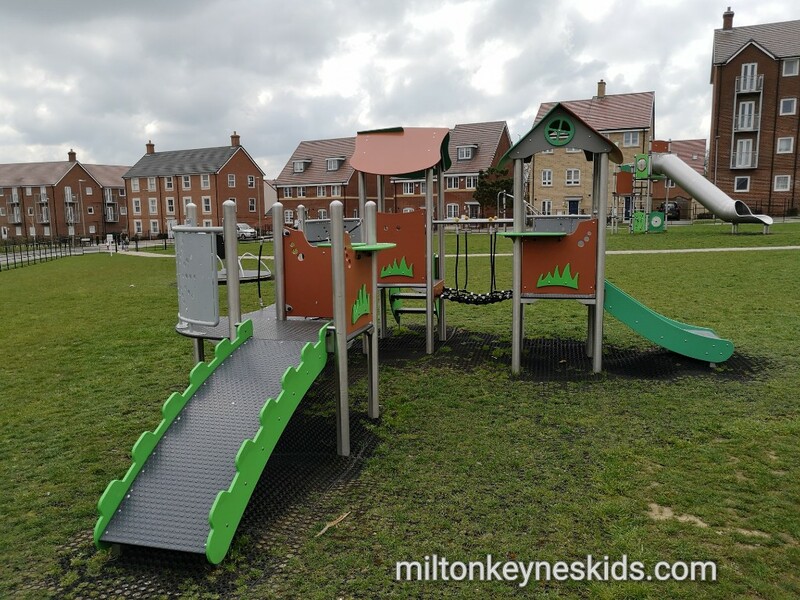 The first park on google is labelled as ‘Newton Leys play area (phase 2)’ and is just off Bonaire Grange. The postcode MK3 5PN will get you there. There isn’t a car park, but we parked easily on the road. It is a residential area so be considerate parking. The play area is large and gated. My eldest son, who was five at the time we visited, ran up to it excited by the sight of the big climbing frame. Unlike some of the other more modern parks it has metal equipment. 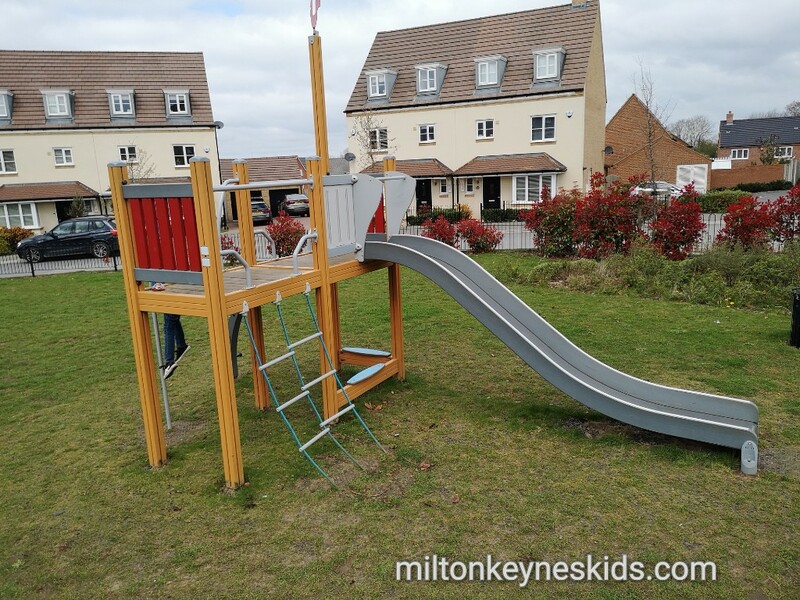 The large climbing frame as a super cool slide which my son loved as it’s quite quick. He found it easy to get up and down the climbing frame. My three year old, who wasn’t with us at the time would have struggled as the gaps in the ladder were quite big. 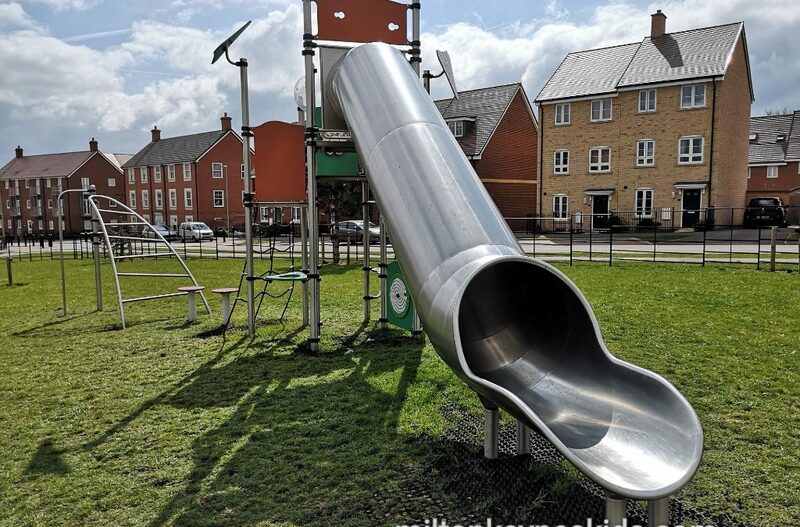 There is second climbing frame which is lovely and much more suitable for toddlers which has a slide and a bridge – my five year old was a bit too big for it – but I know my youngest will enjoy it if we return. 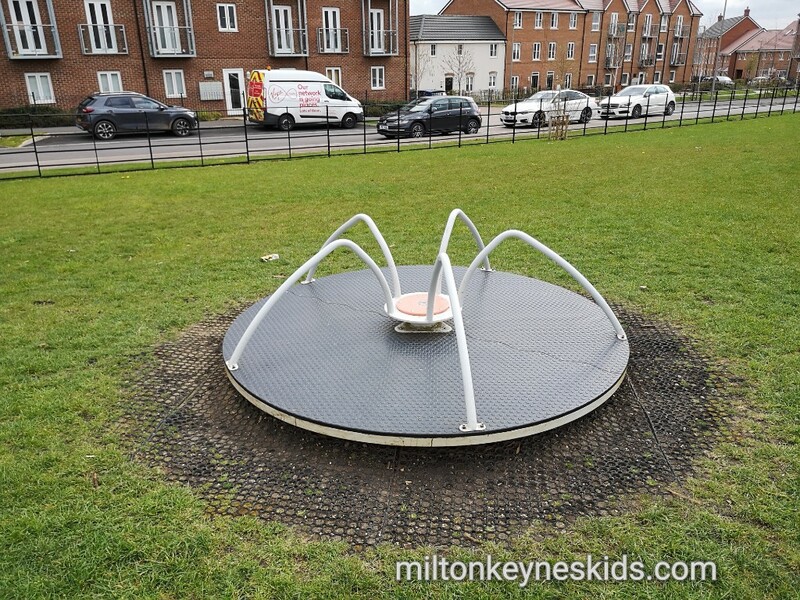 There’s also a roundabout, swings and a nest swing. There’s a goal to play football in. 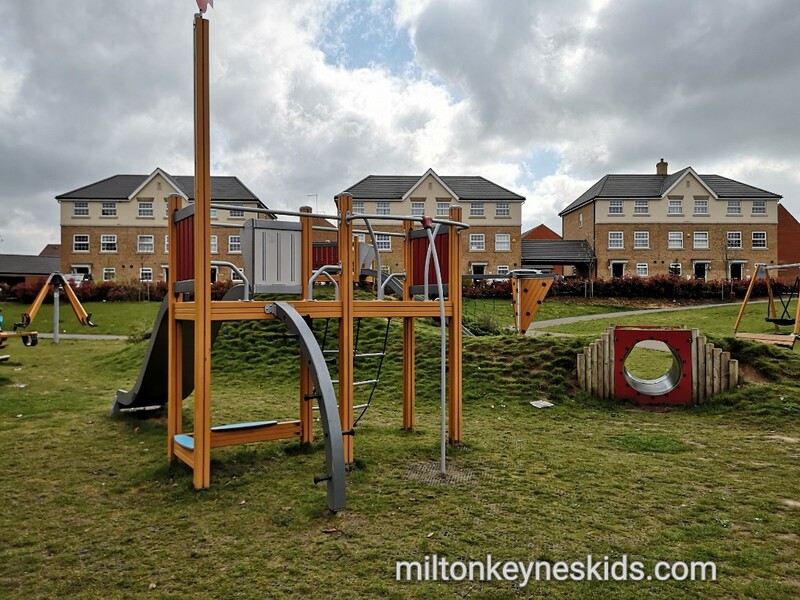 For the size of it, the play area does feel a bit sparse, but it does mean there’s lots of room for the kids to run around in an area with lots of housing. 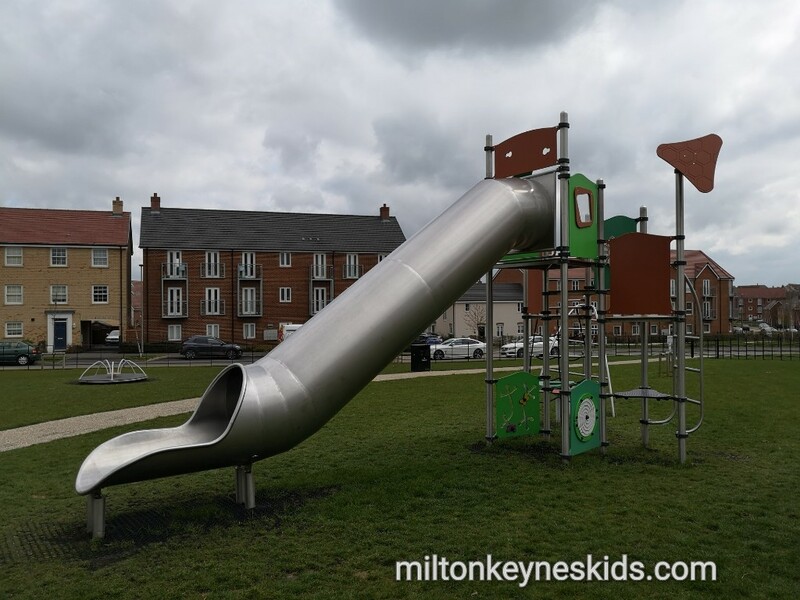 What was the next park at Newton Leys like and where is it? You can walk to the next park by taking a left down Santa Cruz Aveneue, which then becomes St Lucia Crescent, take a right down Hopkins Road on to Dickens Lane and the park is there. Or the postcode is MK3 5QG. This park has got more play equipment than the first one and looks prettier and more modern. All be it a bit untidy. Both times we’ve visited there’s been discarded rubbish despite there being bins. Anyway, there’s a good bumpy slide up a little hill – the slide is quite quick. There’s a climbing frame with slide and fireman’s pole. 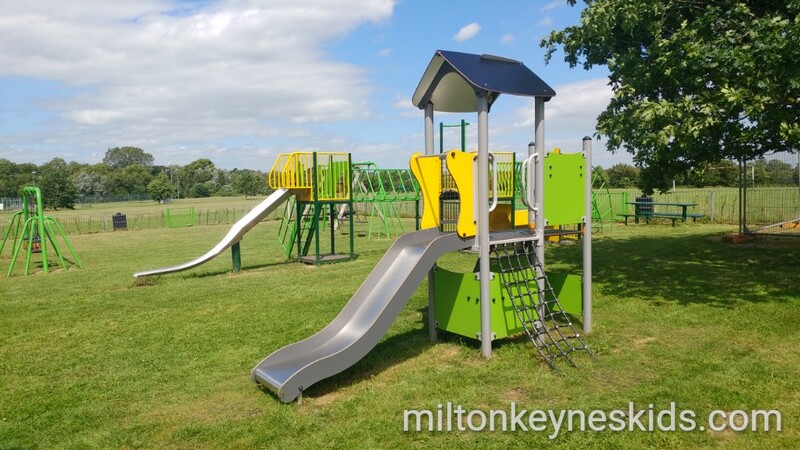 There are swings, a balance beam, tunnel, a net climbing frame and a see-saw – loads to keep the children occupied in a smaller area. My five year old son had a great time – I think is younger brother would have enjoyed this one too. It provides a pretty backdrop for some nice pictures too. 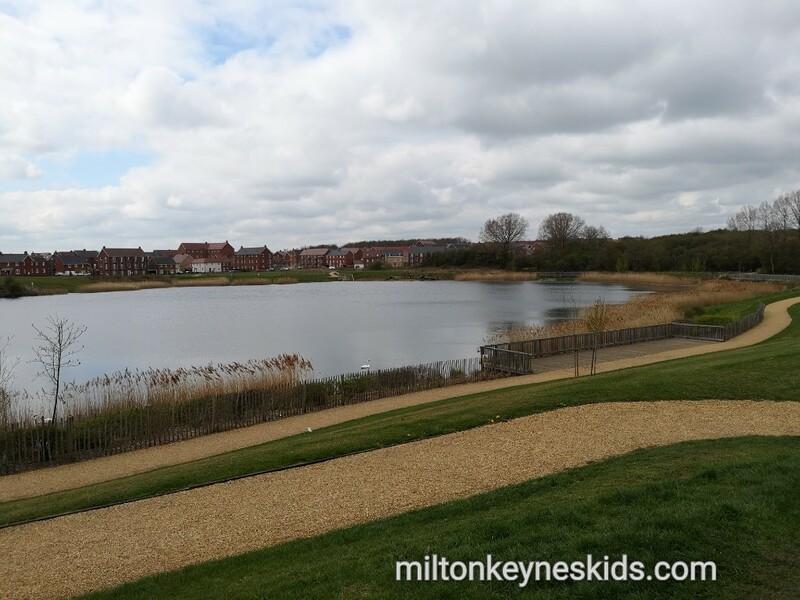 What’s the Willow lake at Newton Leys like? To get to the lake from the previous park you need to get back on to Lansbury Lane, and the take a left down St Helena’s Avenue. We then accessed the lake from Skye Crescent – MK3 5AY. Willow Lake is pretty and looks much more beautiful on a sunny day than when we went in April. We followed the path around, although it does just stop. A section with steps was fenced off, not sure why. 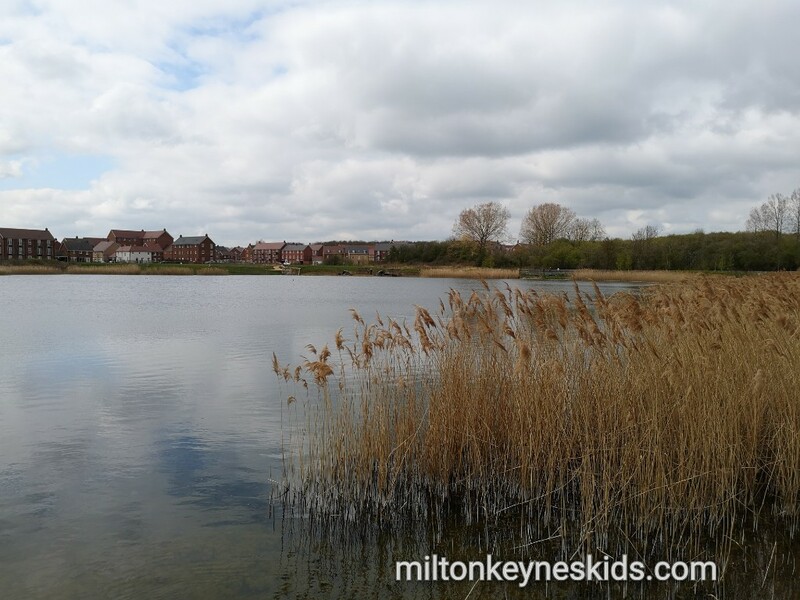 It’s a much smaller lake than others in Milton Keynes – so good for little legs. You could easily spend a couple of hours at the parks and the lake. Where else could we visit in the local area? 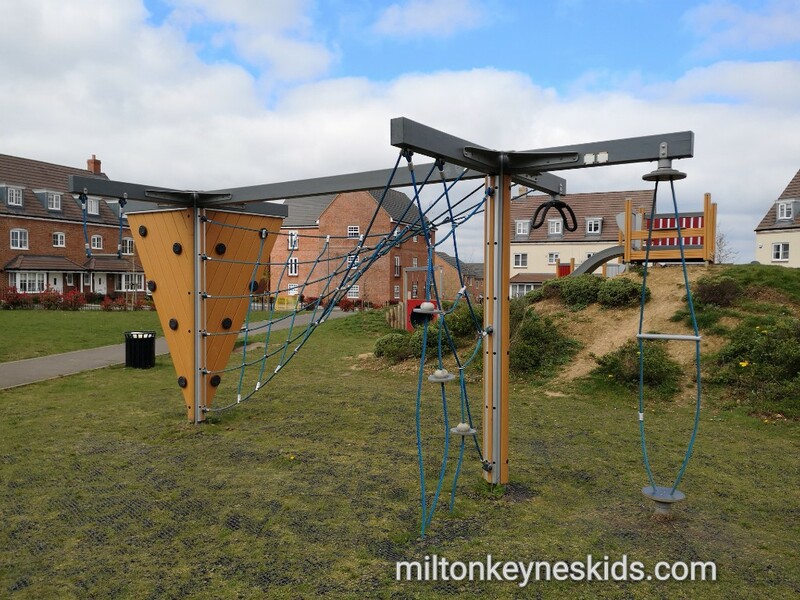 Newton Longville Park isn’t far and has some fab brightly coloured play equipment and a car park. The best postcode is MK17 0AT. And if you want to see what else is nearby do look at my map. 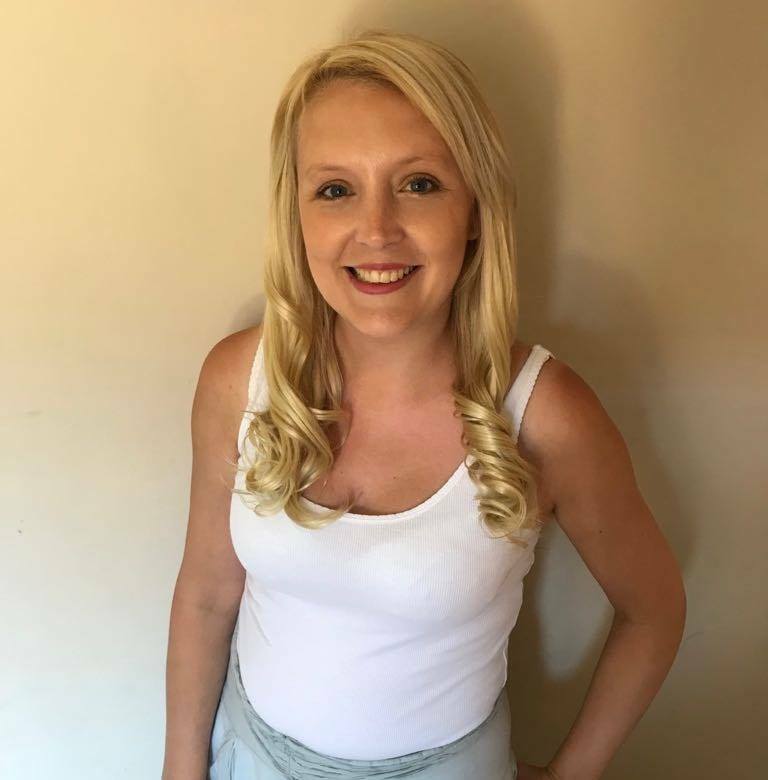 I'm Laura, mum of a 3 year old and a 1 year old. I've spent the last year on maternity leave creating this blog. It's a hobby and I do it all late at night once the little boys are sleeping. I hope you find it useful. 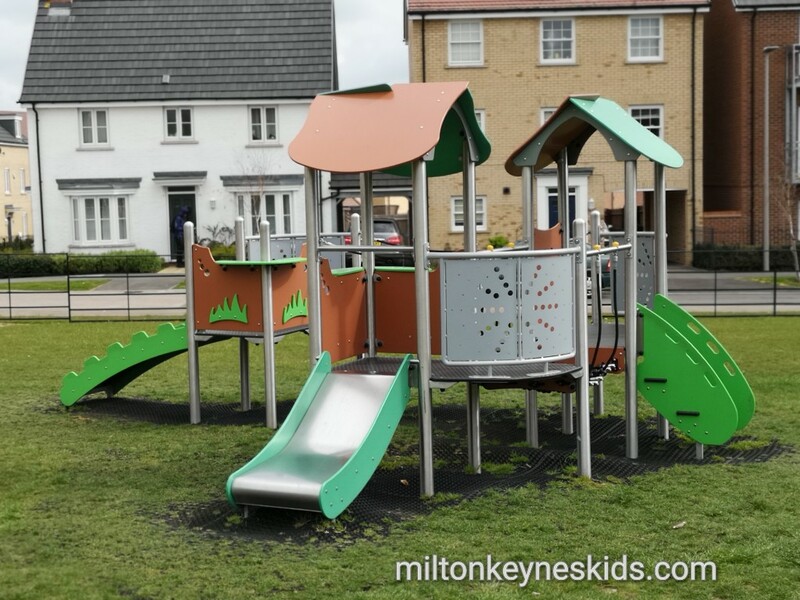 Do drop me an email laura@miltonkeyneskids.com if you want to contact me. 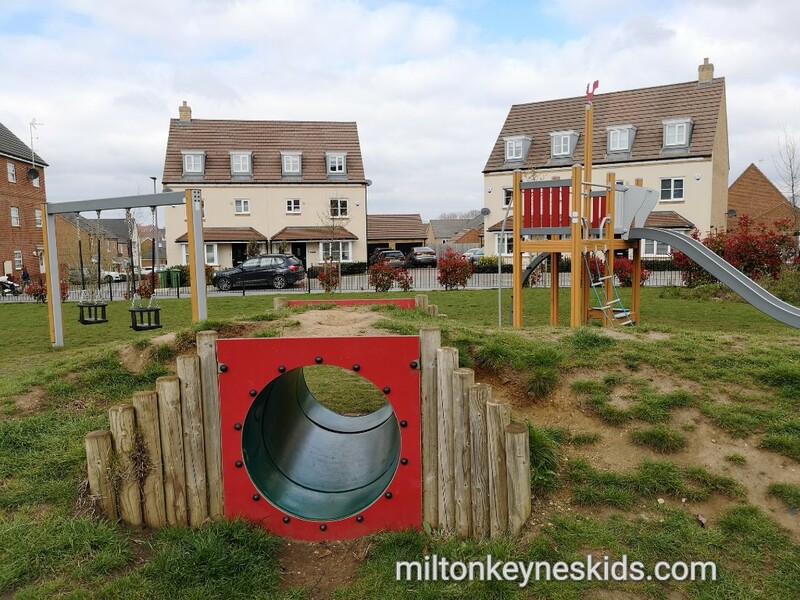 Don't forget to follow all of our latest adventures on facebook, instagram and twitter and have a look at all of the videos of the places we visit on my new Milton Keynes Kids YouTube Channel - subscribe to it for notifications every time I add a new place. Looking for inspiration for where to take your children or grandchildren next? 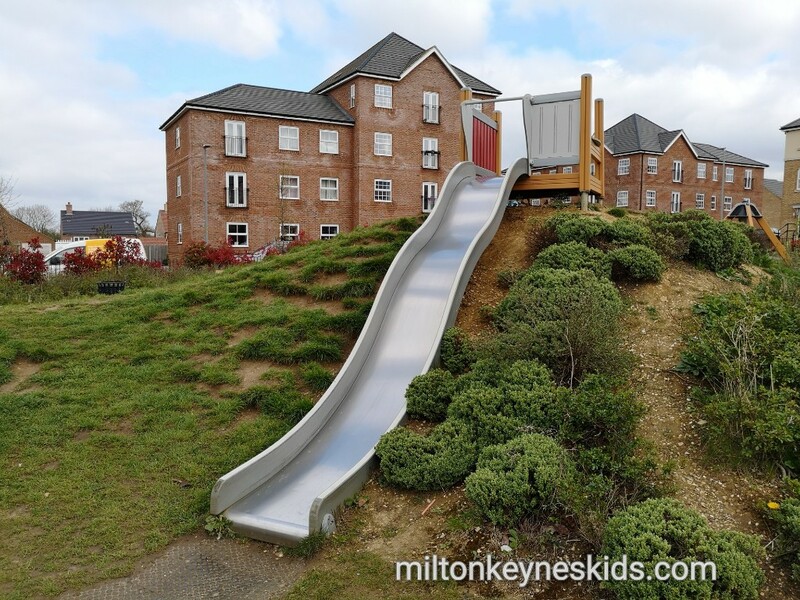 Simply subscribe to emails from Milton Keynes Kids and you’ll get the details of all of our latest adventures as soon as they appear on the website.